A larger ring for when you want to make it known that you have set out to achieve what others can't. 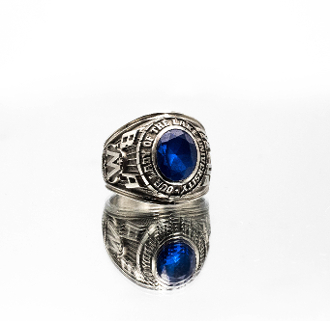 This graduate ring has a larger base top, as well as the widest shank offered. Details like your degree and university name stand out on this piece of history. Same options as The Colliegate ring are available.